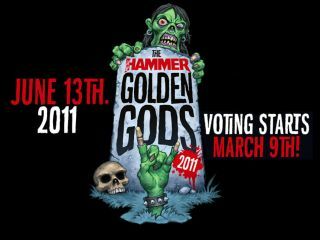 Metal Hammer has announced the nominations for the Golden Gods 2011 awards. Public voting begins today at metalhammer.co.uk/goldengods and the winners will be unveiled at a suitably debauched IndigO2 event on June 13. Rob Zombie and Skindred have secured double nominations, while Iron Maiden go up against Bullet For My Valentine and feisty underdogs Bring Me The Horizon, Skindred and Architects in the Best UK Band category. 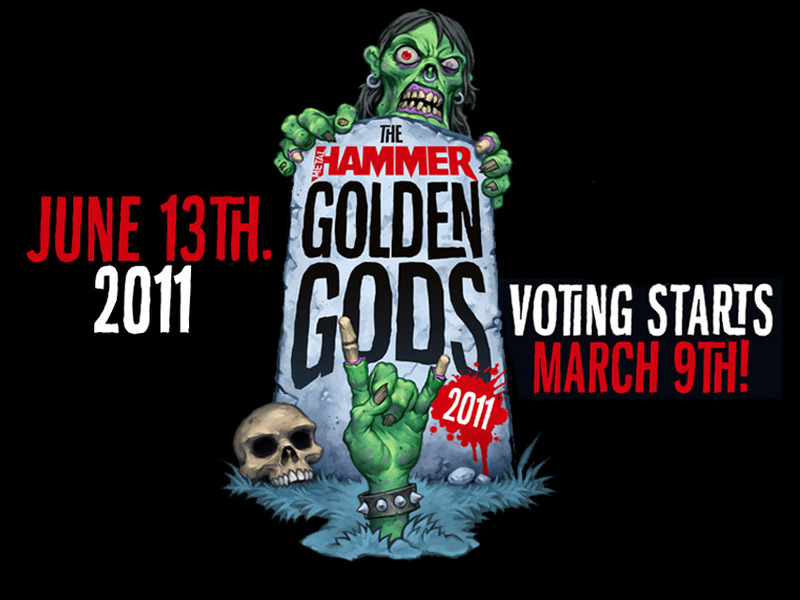 You can vote on the below nine categories, while Metal Hammer themselves will deliberate on a further nine - Best Album, Icon, Defender of the Faith, Spirit of Hammer sponsored by Jagermeister, Inspiration, Riff Lord sponsored by Jackson, Best Drummer, Global Metal and, of course, the ultimate none-more-metal accolade, the Golden God 2011.